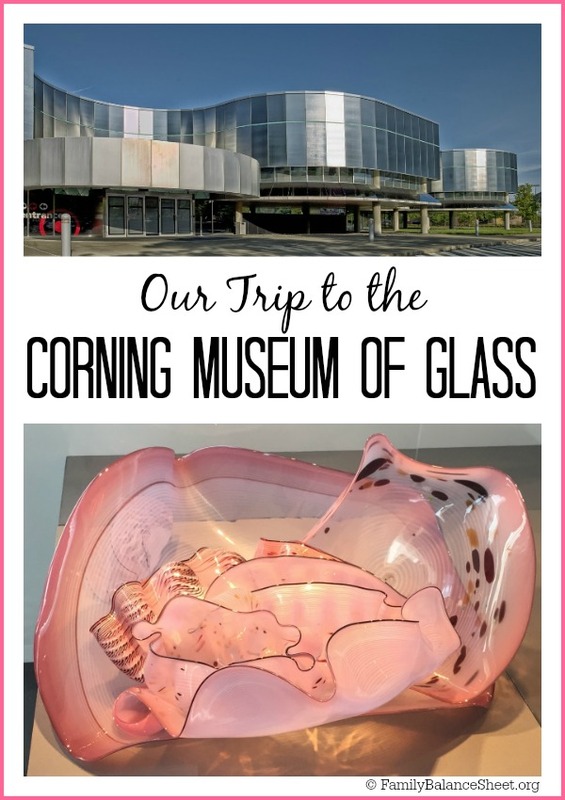 Recently we traveled with our daughters’ Girl Scout troop to the Corning Museum of Glass located in the heart of the Finger Lakes region in New York. 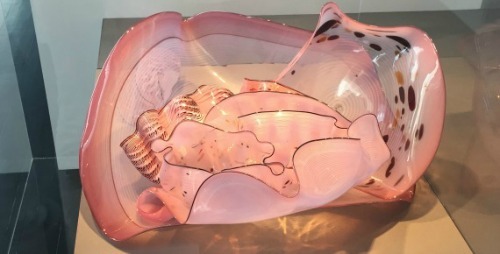 Have you heard of the term, “like a bull in a china shop?” That was my first thought about taking my daughters, ages 9 & 7, to a glass museum. 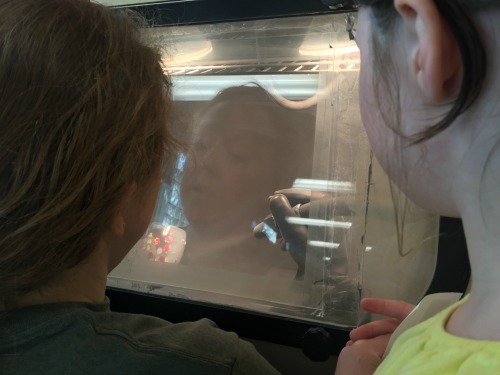 But this museum is very family-friendly and our girls were completely engaged for our entire tour. 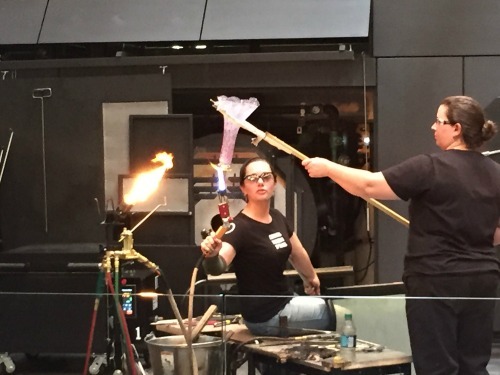 At Corning you’ll find more than 3,500 years of history displayed in the Glass Collection Galleries, from the glass portrait of an ancient Egyptian pharaoh to contemporary sculpture made in glass. 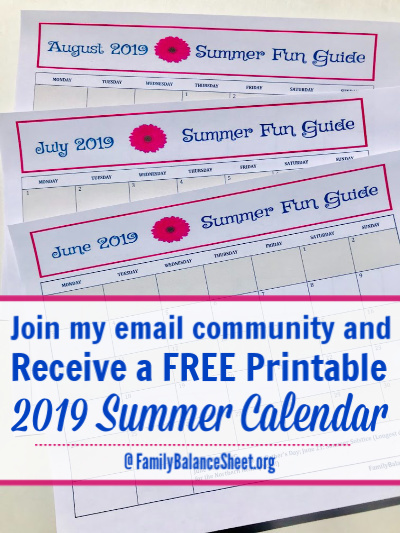 Along with the galleries, you’ll find historical exhibits, a hands on Innovation Center, hot glass shows, Make Your Own Glass sessions, and a glassmaking studio. As we entered the museum, we were greeted by this 15 1/2 foot blown glass sculpture, Fern Green Tower, by the artist, Dale Chihuly. 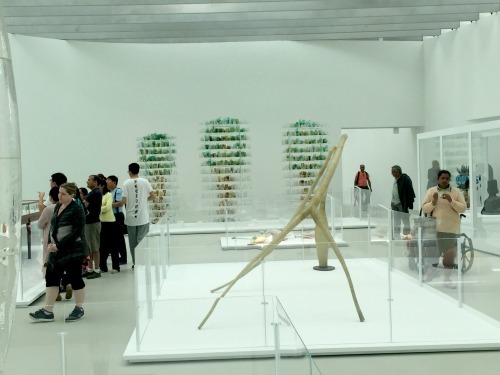 It’s made with over 700 hand blown pieces that were attached to a steel structure. To give you an idea of its scale, I am almost 5’11. This sculpture is massive, quite beautiful, and also my favorite color. 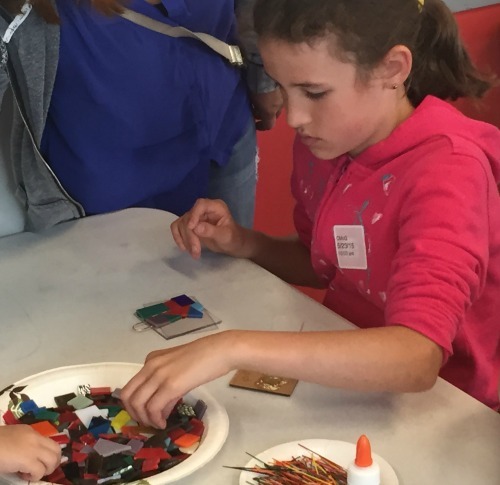 One of the highlights at the museum is the Make Your Own Glass workshops and our kids participated in two hands on projects. 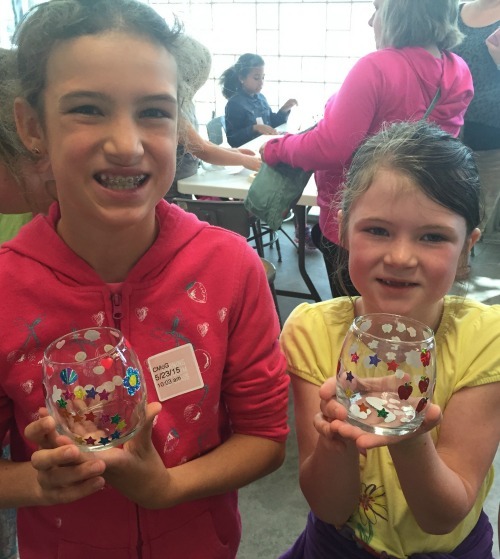 They made sun-catchers by layering small pieces of glass, glass beads, and thin glass threads. 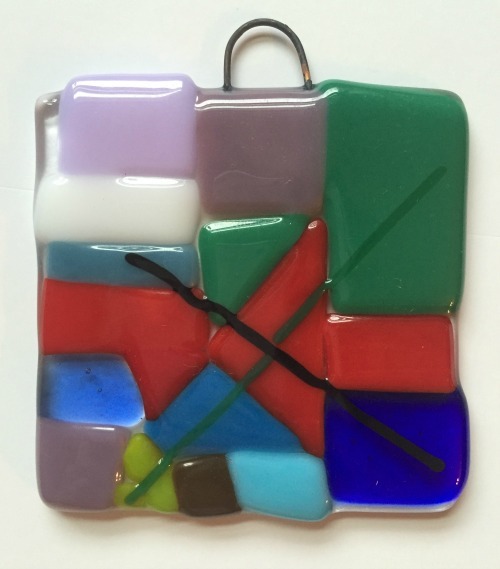 The piece was fired up in a kiln where it fuses together. 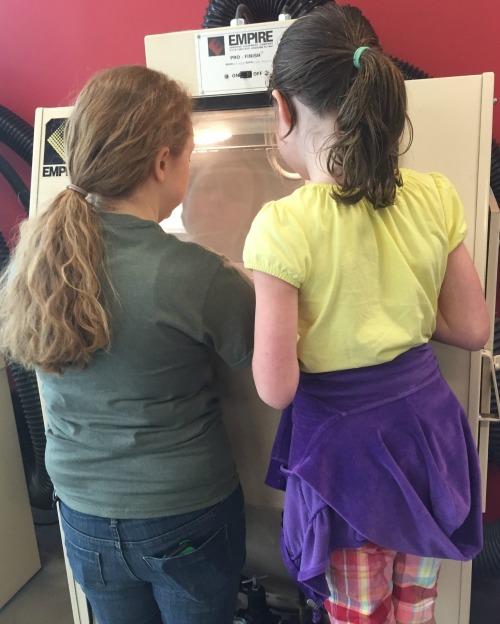 The kids were also introduced to the art of sandblasting. They were given a glass that they decorated with stickers. 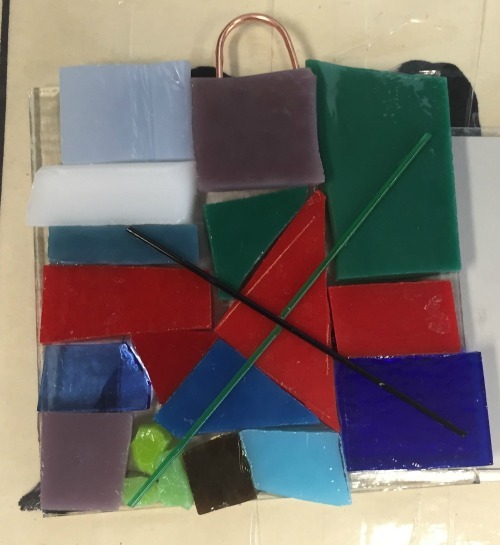 The class instructor sandblasted the glass. If you look closely, you can see the process. 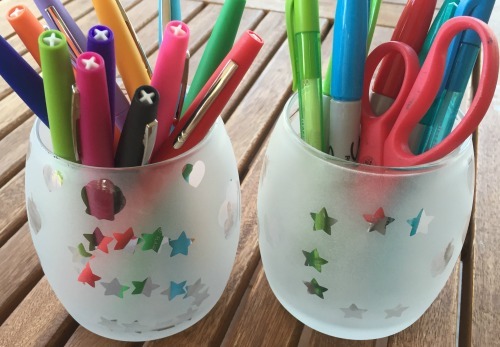 The finished glasses are now marker holders. …and skillfully shaped it into a vase. 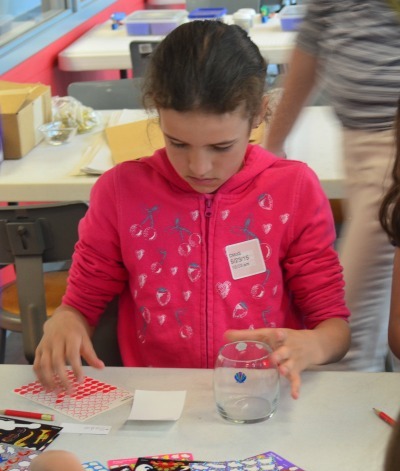 After the glass show, we toured the museum’s glass collection that showcases more than 35 centuries of glass history. Unfortunately, many of my pictures from the historical section didn’t turn out well because of glare from the exhibit glass, but what I found the most interesting was this placard. 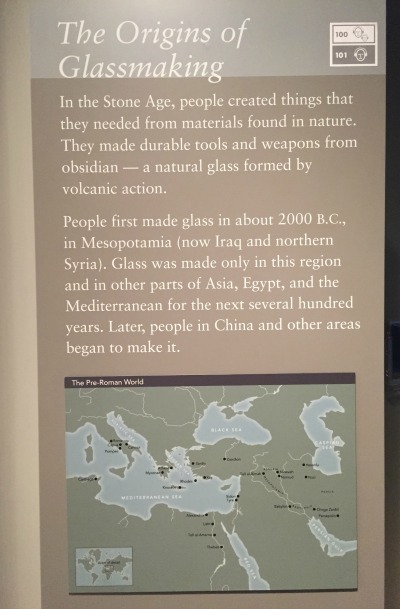 If you read it closely, you’ll see that glass making originated in what is now Iraq and Syria. I really enjoyed the more modern exhibits. The Continuous Mile (below) was constructed in South Africa and took the artist, Liza Lou, longer than a year to make with a team of more than 50 beadworkers. 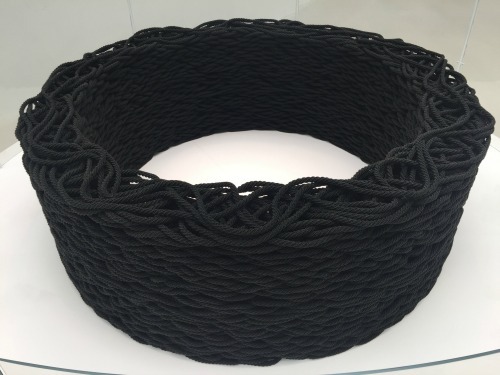 The sculpture is composed of a coiled and stacked cotton rope, measuring a mile in length, sewn with more than 4.5 million glossy black glass beads. It stands over 2.5 feet tall, and 4.5 feet wide. 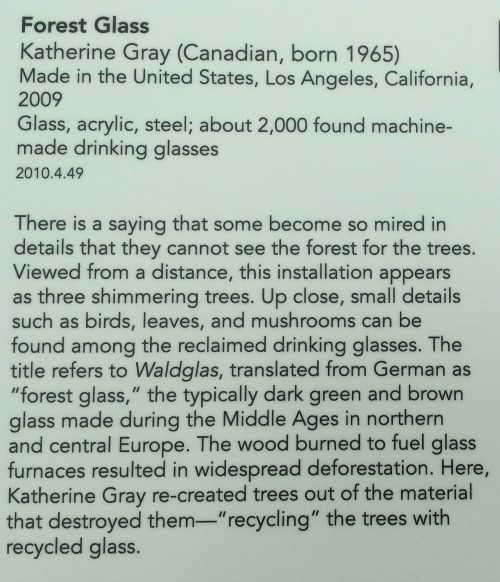 My personal favorite exhibit was Forest Glass. 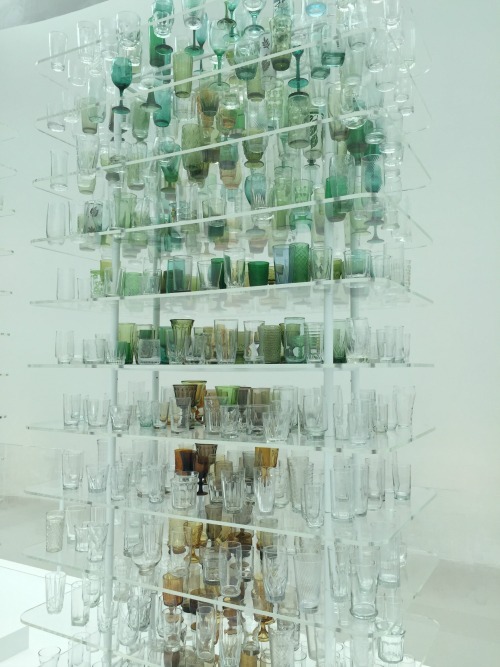 When I saw it initially, I was up close and all I saw was an exhibit full of drinking glasses. Really?? But after reading the description, I realized that I was too close to capture the artist true meaning. But step away. Do you see it? And there it is–the forest. I love the display within the all white room. And I thought this Dale Chihuly piece was beautiful. 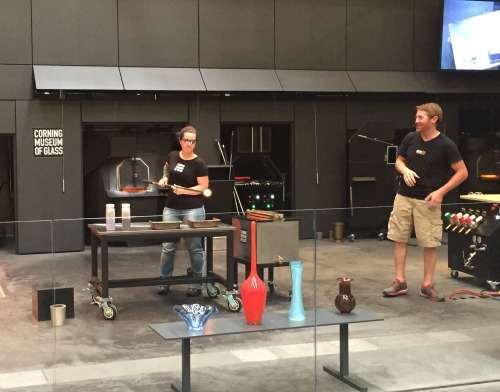 We highly recommend a visit to the Corning Museum of Glass. This post is just a snippet of what you will see, check out the museum website for more information and pictures. 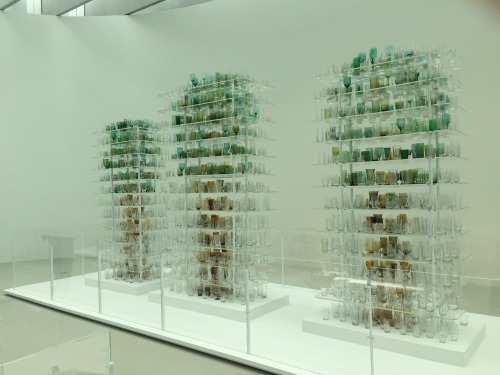 It’s interesting that the Fern Green Tower is made of blown glass with a steel structure beneath it. 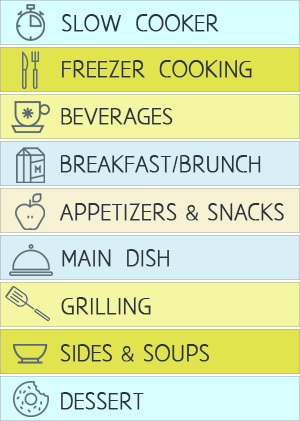 It’s no surprise that you found the trip well worth it.